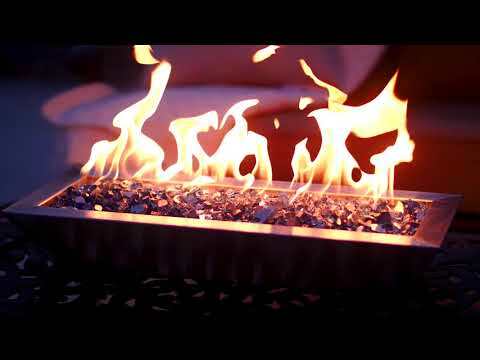 Lakeview Outdoor Designs Westfalen Table-Top Fire Features add a modern touch to your outdoor living space or landscaping with the added benefit of warmth. This fire feature is constructed of commercial 304 grade stainless steel with a brushed stainless finish, and features a match lit 304 grade linear burner for years of trouble free use. Add fire glass or lava rocks to match your decor to complete the look. Base measures 20 X 6. Can this be hooked up to a propane tank? Excellent question, Jen! Because this is match lit, propane as a gas type is not a safe option.